The purpose of 9-1-1 is to provide the public with a local access point to request immediate assistance from police, fire and rescue personnel for any in-progress situation that could potentially result in danger to someone’s life and/or property. Brown County Public Safety Communications telecommunicators will ask all individuals calling 9-1-1 a series of questions based on the type of incident they are reporting. Telecommunicators are trained to follow department policy and procedure and ask various questions to obtain the best information possible, for the safety of both the public and the response personnel entering the emergency situation. Cooperation from callers is a vital part of establishing effective public safety communications. Brown County 9-1-1, where is your emergency? Where is your emergency? The exact address is our center’s first required question; then, if the line is disconnected, the operator is able to make further contact and officers can respond to investigate what is happening. What is going on? Do you need police, fire or rescue? Who is involved? Any suspect or vehicle information is pertinent if it is related to an alleged crime. Is it happening right now? We need to determine the severity and priority to dispatch the call. If related to a disturbance, the telecommunicator will want to know if there are any weapons involved or if the suspect has a prior history of using weapons. Do you know why this is happening (if applicable)? 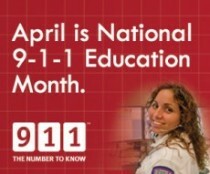 Please download our “911 – What to Know About Making the Call” informational brochure. Get it here.